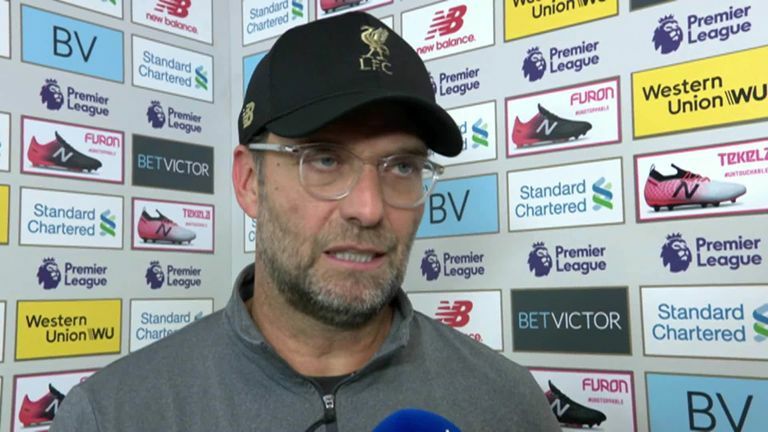 Jurgen Klopp says he apologised to Marco Silva for running onto the pitch after Divock Origi's injury-time winner and did not mean to be disrespectful. Jurgen Klopp says he apologised to Marco Silva for running onto the pitch after Divock Origi’s injury-time winner and did not mean to be disrespectful. Jurgen Klopp apologised to Marco Silva for his wild celebrations at the end of Liverpool’s dramatic Merseyside derby victory over Everton. The Liverpool manager raced onto the pitch after Divock Origi’s 96th-minute winner stunned Everton to secure a 1-0 win at a euphoric Anfield. “I have to apologise because I didn’t want to be disrespectful but I couldn’t stop myself,” Klopp told Sky Sports. “It just happened!